Frank graduated from Queen’s University Belfast, United Kingdom in 1994 and commenced his professional career in a Big 4 accounting firm in Hong Kong. He is a member of the Institute of Chartered Accountants in England and Wales and the Hong Kong Institute of Certified Public Accountants. Frank is also a Certified Fraud Examiner (US). He has obtained a Master of Laws degree from the Chinese University of Hong Kong. Frank has been awarded Specialist Designation in Insolvency by the Hong Kong Institute of Certified Public Accountants. He is a member of the Restructuring and Insolvency Faculty Executive Committee of the Hong Kong Institute of Certified Public Accountants. Frank has over 26-year experience in accounting, auditing, corporate debt restructuring, bankruptcy, compulsory liquidations, voluntary liquidations, receiverships and forensic accounting. He has been appointed in hundreds of insolvency assignments in Hong Kong such as provisional liquidator and liquidator in compulsory winding-up and voluntary liquidation, trustee in bankruptcy proceedings and nominee in Individual Voluntary Arrangement. He is a registered Appointment Taker and Insolvency Practitioner under Administrative Panel of Insolvency Practitioners for Court Winding-up of the Official Receiver’s Office. Frank has also been accepted by the BVI Financial Services Commission as a qualified person to be appointed as foreign liquidator in BVI winding-up proceedings. 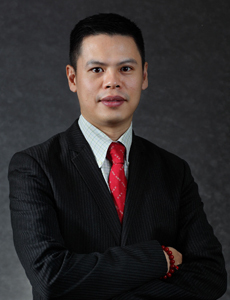 He has also been appointed as expert witness for various forensic accounting and litigation support assignments including investigations into suspected fraud cases, irregularities or improprieties for the purpose of civil or criminal proceedings, together with valuations of companies and shareholdings and giving expert testimony in Market Misconduct Tribunal, District Court and High Court of Hong Kong and courts in foreign jurisdiction.